There’s good news for the many talented community women who dream of stepping beyond their comfort zone to launch a career that will give a boost of self esteem and increase your earning potential. These women have always been under the impression that the only way to attain financial success would be to graduate college and attain a Bachelors or Masters Degree. All women should know that investing time and money into a college education isn’t the only way to get ahead professionally. The answer? Targeted certification programs. Certificate programs are rising in popularity in the past several years all across America. These vocational certificates are short-term degree courses that focus on specific occupations. Programs typically recognize completion of a course of study based on a specific field, such as paralegal, interior decorator, dental assistant, exercise instructor and graphic designer. Countless more options are available to pursue based upon each woman’s interests, priorities and lifestyle. 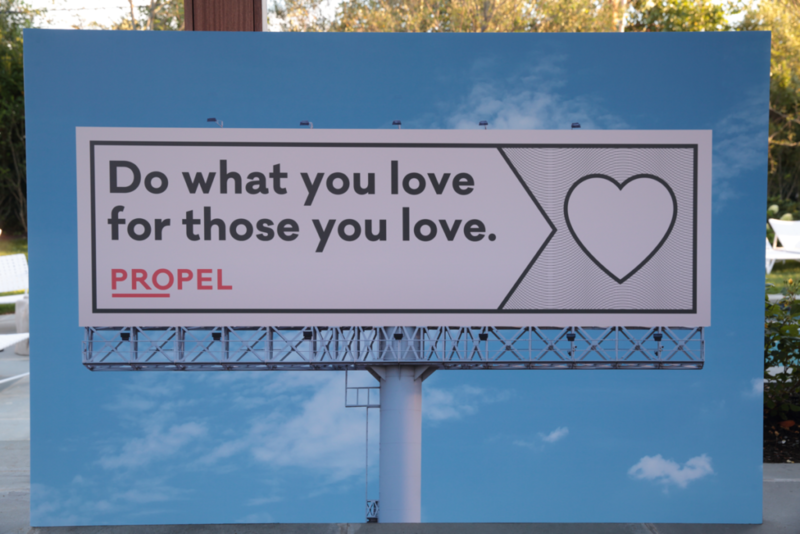 PROPEL, founded by Rebecca Harary and Ezra S. Ashkenazi, was created with the concept that our community women can unleash their earning potential and learn marketable skills through these certificate programs. These programs offer in-school and online courses. This month alone, 14 community women have signed up for certificate courses under the guidance of the PROPEL team and life coaches. To date, many women have already successfully and proudly graduated certificate courses (tuition assistance provided by PROPEL when needed), which will enable them to find full-time, part-time and even work-from-home employment in the field of their choice. This new income can help alleviate some of the financial burden many of our Community’s families are facing today. Wondering if a Certificate Course is for you? Stop paying your gym membership, and work out while getting paid instead. In these days of green juices and avocado toast, everyone is looking to become a little healthier. You can profit from your passion by becoming an exercise instructor. If you love SoulCycle, look into certification to become a spin instructor. If you’re more into wellness and relaxation, yoga may be your calling. If you’re creative enough, you can even create your own routine that will have others begging for more! Many companies are looking for graphic designers who, not only have the computer skills, but have the creativity. Responsibilities can range from designing advertisements to constructing a beautiful website that others will enjoy visiting. In addition to computer know-how, a few computer graphics courses can help you master programs such as Adobe Illustrator and Photoshop giving you an edge on the competition. If computers are not your thing, a makeup artist or cosmetologist enhances beauty and gives the artistic practitioner a chance to create. Certification programs in the field cover a wide array of beautification procedures. Whether you’re interested in hair, makeup or skincare, there are options. Consider a job where the details are necessary, but the experience is rewarding. A paralegal needs patience and an eye for research and office work. This is a great job for anyone interested in law – minus the years of schooling required to become an attorney! An option for the detail-oriented woman that will further sharpen her skills by achieving a certification in QuickBooks. With those coveted math skills, as a bookkeeper, you’ll be the backbone of any business that employs you! If you are looking to be a part of the medical field, have a nurturing nature, and don’t feel squeamish handling needles, consider becoming a dialysis technician. Responsibilities include working medical machinery and dealing with patients one on one. Additionally, there are a wide array of jobs and certifications available in the medical and dental field that offer attractive benefits and flexible work hours. PLUS…THE WORLD OF TECHNOLOGY WANTS YOU! If you love numbers, computers and enjoy learning languages you may want to consider learning to code websites and applications. This is a lucrative career with an array of opportunities, wide open for women right now, that will eventually allow you to work remotely and on your own schedule. Is PROPEL right for you? Call us at 646-494-0822.